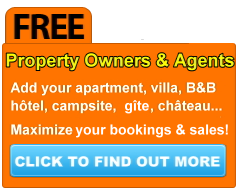 Check out our portfolio of self-catering holiday villas, apartments, private homes, and cottages to rent, and for sale. This privacy statement only applies to this, the www.azurvillas.com web site. In any dispute, you will be deemed to have read and understood the contents of this page. If you are unsure, or do not understand anything, we are here to help. Why does Azur Villas Ltd. need to collect personal information? Azur Villas Ltd's goal in collecting personal information is to provide you with the best service possible. Collecting information is essential in order to be able to reply to your requests either via telephone, email or by letter. What information does Azur Villas Ltd. collect? Azur Villas Ltd. only collects information when you voluntarily provide it to us, such as name, address, telephone numbers, email address and IP address. What anonymous information (Cookies) does Azur Villas Ltd. collect? Internet browsers use "cookies" which store small amounts of data on your computer about your visit to our site and most of the web sites across the world. However, cookies tell us nothing about who you are. You may configure your browser not to allow cookies to be collected, but this may affect your access to certain parts of our and other sites, restricting search, contact forms and online booking/reservation processes. b) Build reports on anonymous data collected and statistical information generated by our web server and also Google Analytics. How does Azur Villas Ltd. use the information in section 3? How does Azur Villas Ltd. share information? Azur Villas Ltd. never intentionally shares your personally identifiable information nor makes available any personal information to other third-party companies or individuals. Indiviuals and companies who would rather not provide any user data to Azur Villas Ltd, are advised not to view our site, nor to send us any form of electronic mail, either via their email client nor via our online forms. You can reqest us to delete any information related to you by simply emailing us, telephoning or by posting a letter. The information we hold will normally be your name, address, telephone number and email address. Our site is not intended to be viewed by children, it is however run in compliance with the Children's Online Privacy Protection Act and is registered with the 'Internet Content Rating Association' (ICRA). Copyright © 2016 Azur Villas Ltd. All Rights Reserved.